Rails are main parts of the rail tracks. They lead the train and transfer the pressure of the wheels to the sleepers. It must have a continuous smooth surface with minimum resistance. Currently in the electrified railways or automatic block zone the two rails double as signal lines of track circuits and loop line for locomotive traction. So rails must be insulated in case of stray current interference. Usually insulators and insulated rail joints are used in rail tracks. 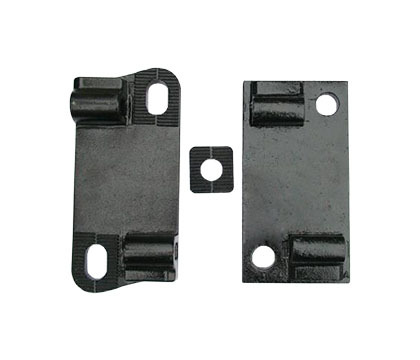 The insulators provide electrical insulation and protect the ductile iron shoulder from abrasion by direct contact with the rail. 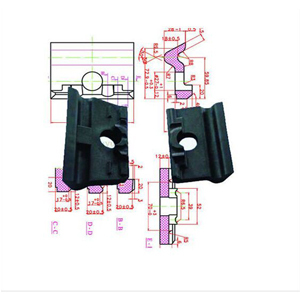 Generally they are installed between rail and sole plate. 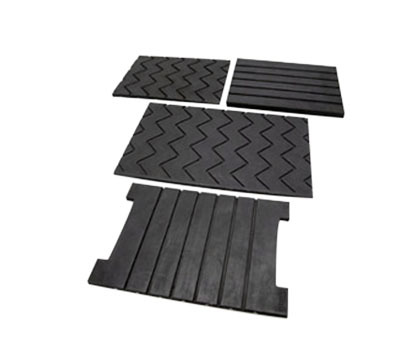 The material is Nylon-6 or Nylon-66 (PA66) with 20%-35% glass fiber reinforcement varying with different specifications. AGICO supplies insulators applying to UIC60,52kg rail,136RE rail,90R,75R etc available in natural colors or as per customers’ request. 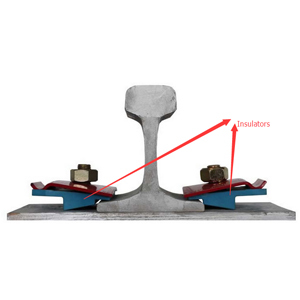 Insulated rail joints are needed on signaling track circuits which make up the shortage of ordinary joints. Glued joints are joints filled the gaps with epoxy resin for the purpose to increase the mechanical strength under stress. 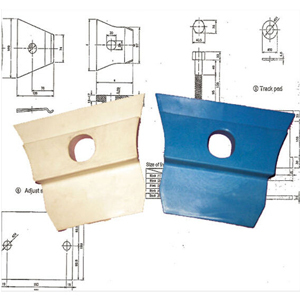 Glued insulated joints consist of specially made fishplates, adhesive resin on the insulating liner, insulated rods and bolts and other insulating parts. They are more used on long welded rails. 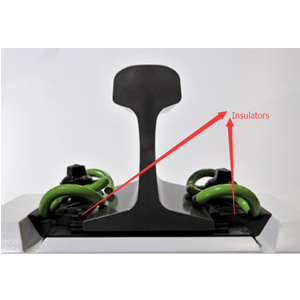 Glued insulated joints can resist to temperature changes and loading force of the rail. 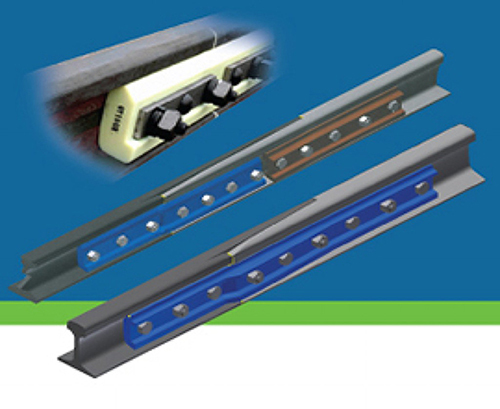 Because the insulating material is glued to the steel parts of the rail, it will help reduce the gap expansion from which the continuous rails benefit. Glued insulated joints are resistant to the tightening force to make sure the clips clamp is on the rail. 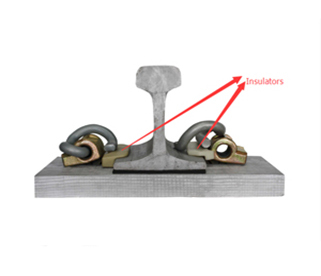 Glued insulated joints can tolerate traction and compression forces at most of 1000 KN. 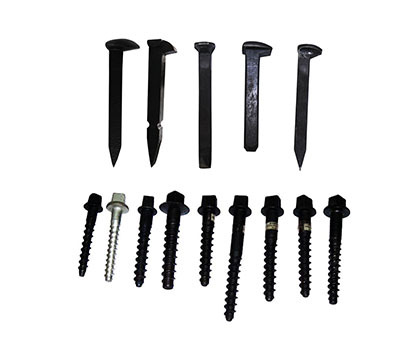 There are also insulating parts on the rails between bolts and fishplates. 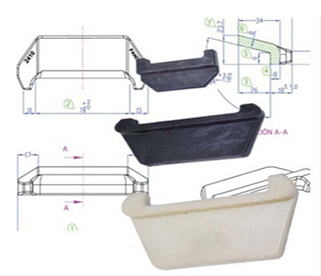 Glued insulated joints have common advantages of higher safety, reliability and durability in different environments. However insulated joints still have a long way to go. 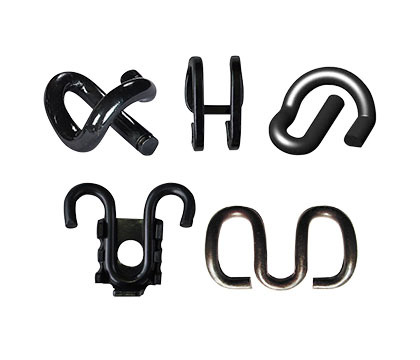 They serve the shortest time of all railway components in the heavy loading condition. Problems are not easy to be detected with current inspection techniques and tools. We need to find out a better way to surveille the condition and make some improvement. All our insulated joints are made of steel or polymer composites.